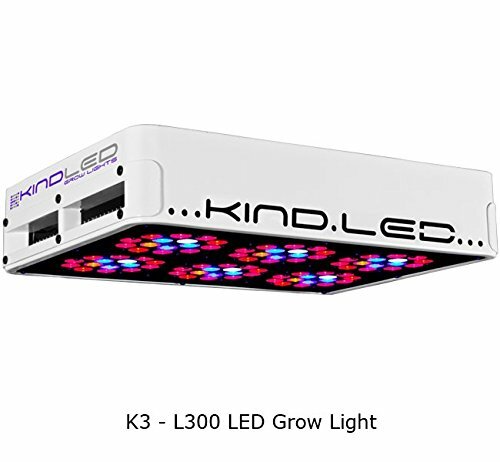 The Kind LED K3 Series L300 LED Grow Light is the direct result of years of research and development aimed at making LED grow lights that could produce the same high quality results as those achieved with High Intensity Discharge (HID) lighting systems, but with significantly less energy consumption and minimal heat output. 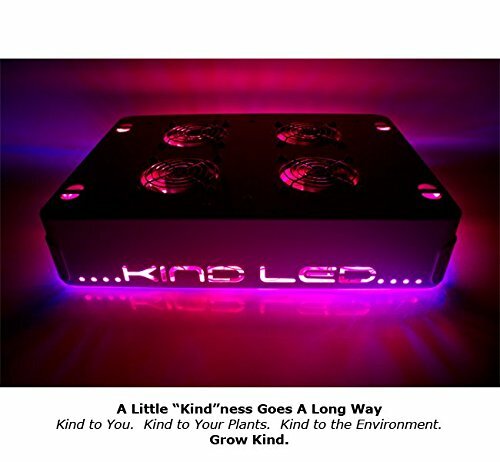 After an initial bout of skepticism, the founders of Kind LED decided to look at where the early LED grow lights were falling short and then develop a product that would truly live up to the hype. 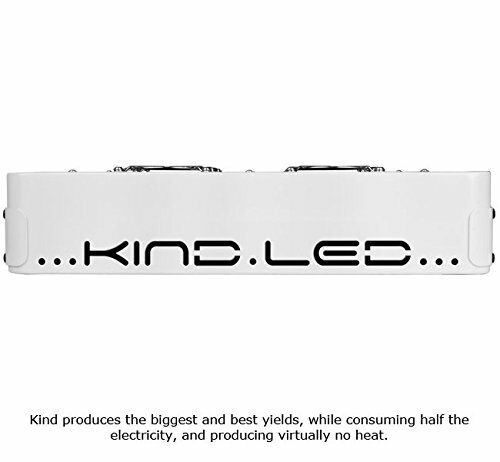 Utilizing decades of growing experience and building upon existing LED technology, Kind LED worked to develop the K3 Series of LED grow lights which offer superior growing capabilities without excessive heat production or undue power consumption. 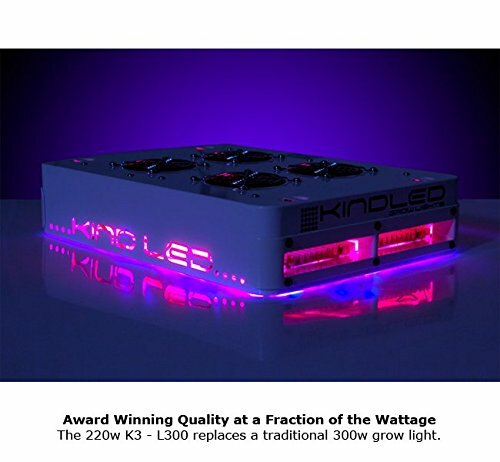 The Kind K3 Series L300 LED grow light uses a 12 bandwidth spectrum made up of 90 diodes (each diode is 3 watts) that have the capacity to operate at 650 mA (substantially more than the 500mA/6 bandwidth spectrum offered by many competitor brands). 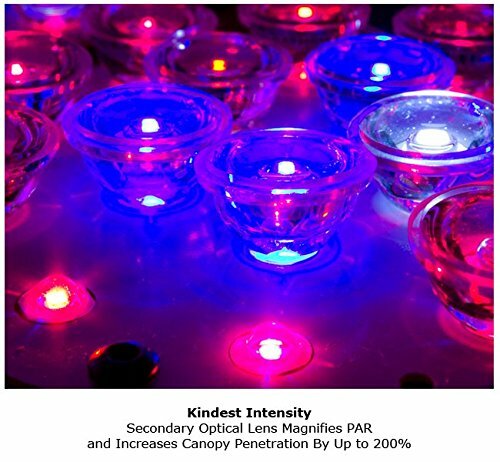 In order to reduce the heat output of these grow lights, Kind LED have incorporated heat sinks made from heavy duty aluminum which have the ability to disperse heat much more effectively than other LED grow lights. This results in grow lights which are cooler to operate and therefore have an extended life span and superior performance results (with no risk that your plants will be scorched). This effective method of heat dissipation means that additional fans are unnecessary, so the Kind LED K3 Series of grow lights are quieter to operate. Since the Kind LED grow lights use approximately 50% less power than traditional HPS lights they are more energy efficient to operate. The 12 color bandwidth offers a complete spectrum which has been designed to suit the needs of plants throughout all stages of the growing cycle, providing the exact output necessary without going overboard with unnecessary power usage. The inclusion of a second optical lens provides added light penetration opportunities, ensuring a more even distribution of light for plants and reaching even under canopies to maximize production of photosynthesis. Superior growing capabilities without excessive heat production or undue power consumption. Uses a 12 bandwidth spectrum made up of 90 diodes (each diode is 3 watts). Heavy duty aluminum heat sinks to disperse heat much more effectively. No cooling fans are unnecessary so they are quieter to operate. 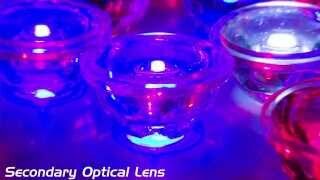 12 color bandwidth offers complete spectrum throughout all stages of the growing cycle.